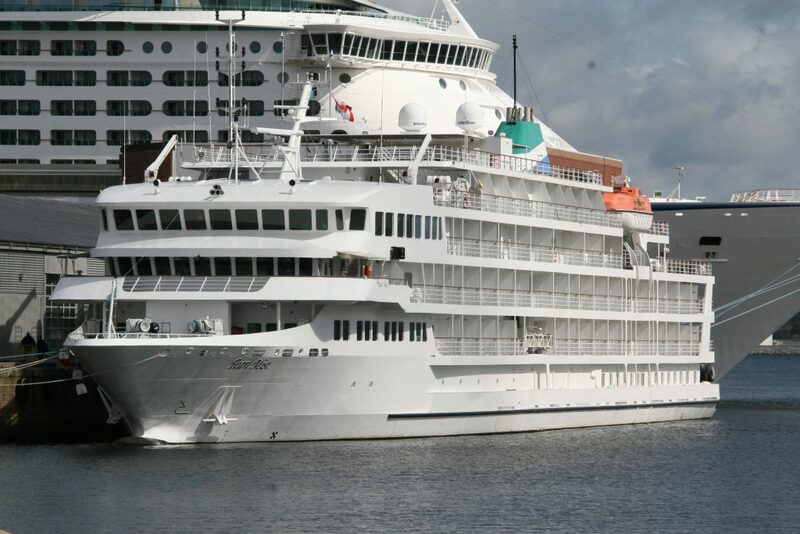 Saturday brought 3 cruise ships into port. 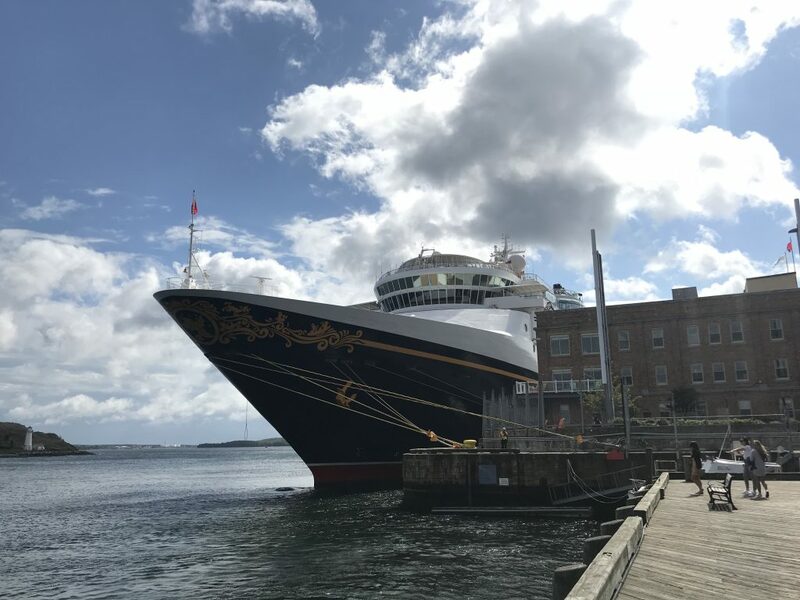 Disney Magic (above) occupied pier 20. (Below) Pearl Mist sits at Pier 23. She was built by Halifax shipyards, then endured several years of litigation, before finally being accepted by her owner. she now makes a few stops in Halifax every year. Behind her at pier 22 is the royal carribein Adventure of the Seas. This entry was posted in cruise ship on September 22, 2018 by Peter.